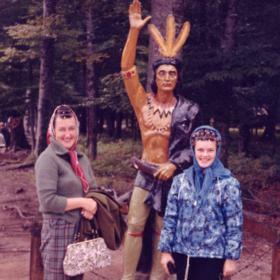 Although she experienced so many amazing things throughout her life, what made these experiences so amazing for Dorothy Nowicki was sharing them with the ones she loved. She was a longtime resident of the community she called home, and as someone who was social and outgoing she had numerous treasured friends. Dorothy was a devoted wife and mother, and she was so proud to witness her family tree blossom to include numerous branches of loved ones. She will be deeply missed, but Dorothy leaves behind a mosaic of memories that her loved ones will forever cherish. The 1920s were a vibrant and lively time in American history when innovation was leading the way to new technology that was transforming the way we lived our daily lives. Refrigerators, radios, and motion pictures in both color and sound were all among the noteworthy events that led to days that were primarily prosperous ones. Amidst this exciting time was a time of great celebration in the lives of Gerrit and Dorothy (Boterenbrood) Meernik as they announced the birth of the baby girl they named Dorothy on November 24, 1923, in Grand Rapids, Michigan. She was the youngest of four as she was raised in the family home on Valley Avenue, NW, alongside her older siblings, Richard, Katherine, and Joanne. Her father worked as a gardener for the Bissell family in Grand Rapids while her mother was a homemaker. For the most part Dorothy was a typical young girl of her generation. She and her family attended Valley Avenue Methodist Church, and Dorothy attended Sibley Elementary School. She enjoyed things like swimming and rollerskating while growing up. 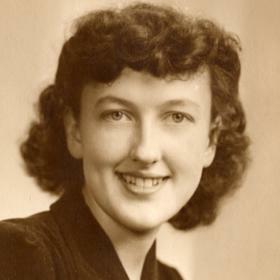 Since her parents were from the Netherlands, Dorothy and her mother moved back there for eight months when she was quite young, but they then came back to Grand Rapids. Her high school years found her at Union High School, and she graduated in 1940. As a young woman Dorothy was eager for all that life had in store. She took a job at a local factory, but it was her personal life that soon became very exciting. While skating at the Colosseum Roller Rink on South Division, she met a young man who would change the course of her life forever. His name was Harry Nowicki, and there was an immediate attraction between them. Although the roots of a relationship were planted, Harry was called to serve in the Navy during WWII. Although they were separated by a great distance, Dorothy and Harry’s love continued to grow as they corresponded through letters. After four years, he returned home. 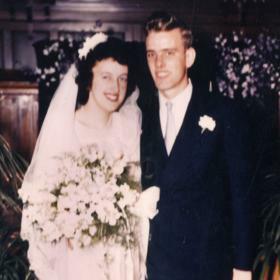 Soon, Dorothy and Harry were married on June 21, 1946, at Valley Avenue Methodist Church. The newlyweds took a honeymoon and returned home. They bought a home next to the church where they lived for seven years until Harry built their forever home on Wilson Avenue in 1953. This is where they raised their four children, Shirley, Harry III, Peter, and Dave. In 1956, their family suffered the loss of part of their home when the Standale tornado came through. There was no greater gift in Dorothy’s life than her family. They took several family camping trips in tents, and they later graduated to a camper. The Nowickis camped all over Michigan including in the UP and spent two weeks at Ottawa Beach State Park on Lake Michigan. 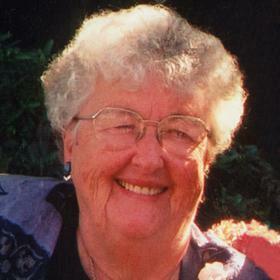 Dorothy was an active part of her children’s lives in countless ways. She was a room mother when they were at Cummings Elementary, and she and her friend, Carol Smith, were part of a group called The Mother Singers who sang at various school events. Over the years Dorothy was a woman of many interests. She was social and outgoing, and while living on Wilson they became very close to their dear neighbors, Dane and Liz Little, whom they loved dearly. Dorothy and Harry upgraded from a pop-up trailer, to a travel trailer, to a fifth wheel, to owning several motor homes. During their retirement years they spent many winters in their motor home in Corpus Christi and Brownville, Texas, as well as Florida for many years. Dorothy continued to meet with her singing group monthly until she was the last remaining member. She loved playing the organ and regularly played at Valley Avenue Church. As her family and friends can attest, Dorothy was the garage sale queen as she frequented garage sales and never could pass up a bargain. She sewed and mended her own clothing, did a craft called plastic canvas, crocheted, and loved crossword puzzles. Although Dorothy wasn’t a gourmet cook, she did make the best Sunday pot roast and also baked a variety of cookies and brownies. She loved hot fudge sundaes as well as strawberries and waffles. Dorothy loved collecting teddy bears and had hundreds of angel figurines. When it came to music, she enjoyed big band music, classic hymns, and playing Christmas music on her organ. When watching television, Dorothy enjoyed old sci-fi movies, Twilight Zone, various soap operas like Young and the Restless as well as both Wheel of Fortune and Jeopardy. Dorothy loved her grandchildren and looked forward to spending every moment with them that she could. 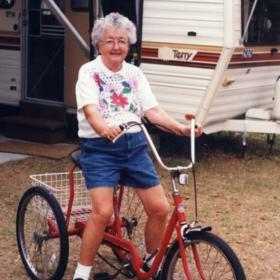 Later in life Dorothy experienced both peaks and valleys along the way. As her husband’s health declined, he moved to Waldon Woods. Dorothy frequently visited him there. Although she was deeply saddened with his death on March 4, 2016, her strong faith and the love of her family upheld her in the days that followed. Dorothy was blessed that her family helped her in many ways, which allowed her to remain in their home on Wilson. As her own health began to fade, she moved to Waldon Woods for two weeks this past December, and as her dementia progressed she moved to Vista Springs. Truly beautiful on the inside and out, Dorothy Nowicki was a blessing to everyone around her. She had a good sense of humor and the amazing ability to look at both sides of any problem. Deeply devoted to her loved ones, Dorothy has been described as the most wonderful mother who continually put her family first. Dearly loved, she will never be forgotten.